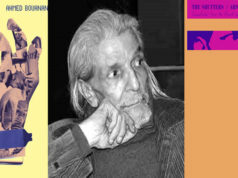 Rabat – Modern Moroccan literature is constantly renewing itself. 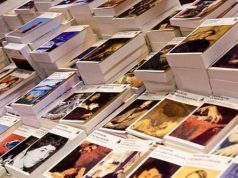 The fact that it is open to other languages and geographical regions has enabled it to rapidly acquire a large presence in the canon of world literature in the past few years. However, few Moroccan authors write in English, and even fewer of these are women. Saeida Rouass has made the cut. 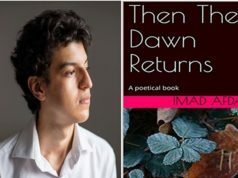 The British-Moroccan writer’s work, which has appeared in publications like The Independent, Newsweek and Asian Woman, explores issues of gender, culture, and identity in the kingdom. 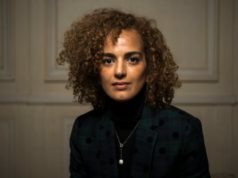 Rouass become known as one of the few Moroccan writers writing in English following the publication of her first work of fiction, ‘Eighteen Days of Spring in Winter’, which follows the life of a young university student in Cairo as the revolution unfolds. Her latest book ‘Assembly of the Dead’ depicts Morocco in 1906, when the country was caught between growing European influence and domestic instability. As young women disappear from the alleyways of Marrakech, Farook Al-Alami, a detective from Tangier, is summoned to solve the case of the apparent abductions. Investigating crimes in a country without a police force, Farook enters Marrakech on the orders of the Sultan. But, in the city under siege from famine and fear, he must rely on his own intuition and skill to uncover the mystery of the women’s fate. 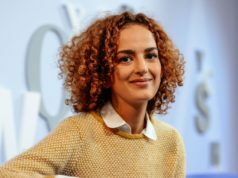 In an exclusive interview with Morocco World News, Rouass discussed her writing process and the motives that push her to choose the Moroccan setting as a context for her work. Can you give us an insight into the main character in your new book, ‘Assembly of the Dead’? Saeida Rouass: Farook al-Alami is a civilian investigator from Tangier and has spent time in Europe. He represents a growing class of men in Morocco during the late 19th and early 20th century who were employed in trade and cultural exchange across the Gibraltar Straits and, perhaps through those experiences, were forced into confronting momentous shifts in attitude around identity and values. He is a realist, but an egalitarian too. Morocco did not have a police force or any clear police investigation procedure in 1906. Farook is inquisitive by nature and a detective still finding his way and place in a rapidly changing country on the brink of colonisation. In many ways, he is a man who is both conflicted and at ease with his identity. How much research do you do on your setting and characters? Saeida Rouass: One of the downsides of writing is that you can never really read just for pleasure. Everything I read, I read with a critical eye. While writing ‘Assembly of the Dead’, I spent five months living in the medina of Marrakech to get a feel of the place. I also read almost anything I could get my hands on about Morocco during that period, and I visited various libraries and heritage centres in London and Morocco to look at their historical archives. Saeida Rouass: The hardest part was to write women into the ‘Assembly of the Dead’ while remaining truthful to their place in Moroccan society at the time. In her Reith Lectures, Hilary Mantel recently argued women writers should resist the urge to write women in history as empowered and that is a sentiment that rings true for me. It was really important for me to include the station and place of women in Morocco in 1906, to show their disadvantage because of their gender. Despite my desire to portray Moroccan women as empowered, I knew that wasn’t necessarily true for the vast majority, but also didn’t want to characterise them as merely victims of men. I decided the best way to write that balance was to show their strength as quiet and how powerful passive and informal resistance they can be. I hope I was successful. What advice would you give to aspiring Moroccan ?writers? 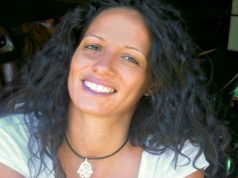 Saeida Rouass: I would assure any aspiring Moroccan writer that they have a rich and diverse cultural heritage at their disposal that can be spun in any way they like. I would reassure them that their work is essential to the continued legacy of Moroccan society and the world. I think we are experiencing a period of polarisation and hate-driven narratives and when we tell stories from the middle we demonstrate the human capacity of acceptance and celebration of difference and build resilience and cohesion against ideas that seek to divide. I would also encourage them to release any fears they may have about writing or any ideas they have about how they should write and surrender to their unique creative process and experience. Moroccan cultural institutions, both in Morocco and elsewhere, need to find ways of supporting Moroccan writers more. Writing is a solitary and lonely task, but stories are powerful and storytelling is how Moroccan society has historically made sense of the world. 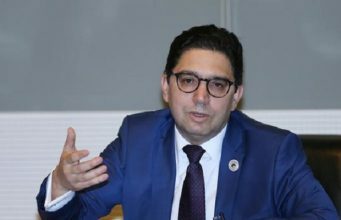 Moroccan writers need to be supported so they can nurture and tell their stories and we need to preserve and revitalise our storytelling culture. 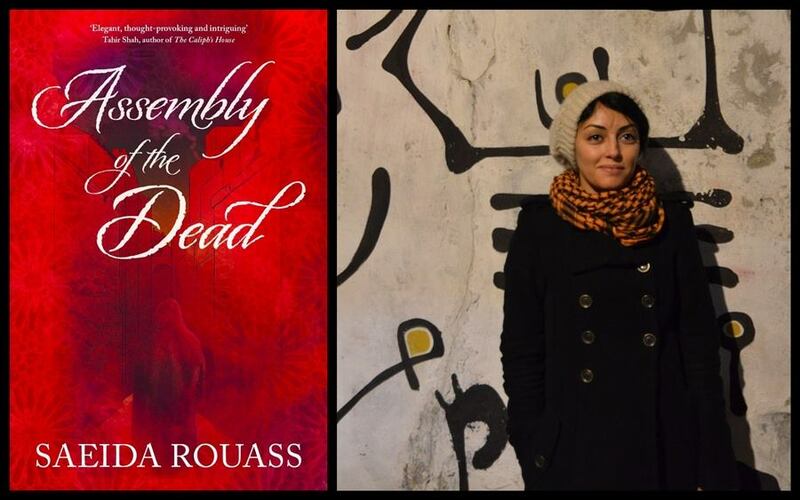 Saeida Rouass is currently working on the sequel to ‘Assembly of the Dead’, entitled ‘Library of Untruths’. This book will be set around the Qarawiyyin Library in 1912 during the months Morocco became a French Protectorate. It follows Farook al-Alami as he investigates a series of murders in the city of Fes, with the Fes Mutiny and abdication of Moulay Hafid as a backdrop. The third in the trilogy, currently titled ‘Caravan of Despair’, jumps to 1921 and is set in Chefchaouen during the Rif Rebellion. Her books are available on all major online bookselling sites including Amazon, as well as bookshops in the UK. She hopes that Assembly of the Dead will eventually be available in Moroccan bookstores soon.